Perhaps the best part about running is that you don’t need an elaborate setup or any special equipment to get started. All you have to do is warm up, lace up your shoes, make sure you’re wearing some kind of cover over your legs, and simply start running. That’s all there is to it, right? But sometimes, if you don’t pay attention to the gear you choose, you might feel limited as you run. If you wear dress shoes, for example, you’re sure to experience pain and discomfort. But maybe you’re just sweating way too much, way too fast, or you feel stiff, or overheated, or just plain uncomfortable. Well, like anything else in life, preparation is essential for maximum comfort; and for maximum comfort when it comes to running, there is nothing like a pair of running shorts. In fact, they’re probably just as important as your choice of footwear! Running shorts are designed for maximum comfortability. They’re designed specifically so that you have breathing room where you need it most, as well as flexibility, so you can experience maximum mobility in the event that you’re not just running, but also playing a sport or having to jump over obstacles. And on top of this, they are usually constructed using polyester or nylon, or some combination of fabrics that actually prevent perspiration from building up. There is perhaps no better indicator of quality than brand name recognition, and Under Armour has it. Known for its line of athletic gear products—shoes, shirts, hoodies, jackets, pants, and yes, shorts; if you need it they have it!—their running shorts are, like their other products, made from quality material and are highly recommended. This a list of their top running shorts, for both men and women. No matter what your individual needs are, you’ll find what you need below. The first item on the list, these compression shorts are almost universally loved by every man who tries them. 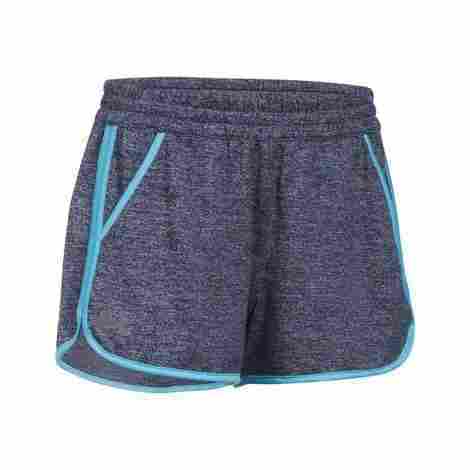 They're snug, comfortable, flexible, durable--in short, they're everything you'd expect or want in running shorts. If you're the type of guy who your friends would call a "gym junkie," these are an indispensable addition to our work out gear. You can wear them all day long without sacrificing functionality or comfort. This feature is an absolute must for people who have sensitive skin or burn easily. It even benefits those who are worried about all the different sorts of maladies that extended sun exposure can cause--melanoma, premature aging, etc. UPF--Ultra Protection Factor--clothing helps to mitigate or prevent some of these harmful effects. So if you're a guy that likes to, or has to, spend a lot of time in the sun, be sure to check this out. Maybe your preferred form of exercise is jumping jacks. Or maybe you'd like to be able to incorporate some kicks or squats, or even lunges. While some shorts and sweatpants may limit your mobility, the HeatGear Armour Compression Mid Shorts are specifically constructed so that you can actually do all of these things without worrying about ripping anything. Though this is the top product on our list, the cost doesn't really reflect the incredible value this brings to the table. In short, it's a great product, and well worth the buy. These are the best running shorts on this list for women. They're especially lightweight, durable, and offer adequate support--something that not all shorts do. They're also off a mild compression, to give you that snug and secure feel. So if you're hiking or just going for a jog, this is the perfect addition to your wardrobe. This may not seem like a huge deal to part-time running enthusiasts, but the comfort these light-weight running shorts provide can improve your game, even if only marginally. And because its light-weight construction, you can also do more than just run--without sacrificing comfort. Isn't it annoying when all you're trying to do is finish your morning run in peace and all you can think about is how uncomfortable your feeling because your stupid shorts keep riding up? Then you have to stop and adjust and keep going till it happens again. With these Women's HeatGear Authentic Long Shorts, you'll never have to worry about that again. Not much to say here: these are reasonably priced and more than useful. In fact, they're a must have for women who need something light and comfortable that would allow them to work out or run or hike or ride their bikes without breaking the bank. Perhaps you're not a fan of compression clothing. You're not alone--lots of men aren't! With these Micro Running Shorts, you won't have to deal with that skin-tight feel. Instead, these offer a very loose, very comfortable, very flexible fit. So whether your running on a treadmill or up a hill, or just staying in place jumping rope, these are the shorts you need. Not only that, but because they're loose-fitting, they also have mesh hand pockets, so you won't have to worry about where you're going to put down your wallet while you run! Because of the fact that it's loose-fitting, air travels so much better across your legs. To that end, it keeps you crisp and fresh and, most importantly of all, comfortable, even as you work hard to break a sweat. It'll also keep you from heating up or sweating too much and too fast. In other words, you won't have that icky feeling that comes with being suffocated in a humid place! Sometimes you just can't leave something behind. Perhaps you want to go for a jog, but are also waiting for an important phone call. Maybe you're at the gym, eyeing the treadmill, but don't want to leave your wallet in your locker, because, well, there are a ton of ways to break open a lock, and it's possible that someone at the gym knows this. With these, you'll have no issue--just keep your essentials in your pocket, where they'll be safe and secure and accessible when you need them. Most people would be willing to pay much more for the comfort and flexibility these shorts provide. If you're into more loose-fitting shorts, you can't get any better than these; they're well worth the money. Not too tight, not too loose--that is the main feature of the Women's Play up Shorts. This probably among the most comfortable running shorts a woman can buy. Constructed with soft-knit fabric, they will give you enough breathing room and flexibility to accomplish any athletic task, while looking great doing it. And, to top it off, it'll wick away sweat while you work and prevent you from smelling bad. Comfort really is the name of the game when it comes to the Women's Play up Shorts. The elastic waistband also features an adjustable drawstring, which enables to you adjust the tightness of the waistband to your liking. Some shorts are too tight to be comfortable or too loose to be functional; this takes care of that problem. Keeping up with the comfort theme, the material these shorts are made of will make you want to sleep in them--literally! They're great not only for running or athletic endeavors, but also for every day use. The soft-knit fabric construction allows for maximum comfort, breathability, and flexibility, so you can feel good as you sweat. This isn't the cheapest product on this list, but it isn't the most expensive either. It's very fairly priced and does deliver on value. For a moderate amount of money, you get one of the most comfortable shorts and most durable shorts you can own. It's definitely worth the buy. Even if you don't use them at the gym, you can wear them around the house--that's how comfortable they are! Neither compressed nor loose, the Men's Launch Run Woven 7" Run Shorts are perfect for anyone looking for utility and comfort with a style that's pleasing to the eyes. Being a fitted short, they sit close to the skin without wrapping too tightly around it. This gives your skin some room to breath. Another great thing about their utility is that they offer not mesh pockets, but also an internal waist key pocket, which really comes in handy for long runs in which you may need access to chapstick. Made from 100% Polyester, they're also extremely lightweight--so you'll never feel weighed down during your run. And being 100% Polyester, they're also extremely durable, making them an economical buy. These shorts feature an internal mesh liner that is specifically designed to help moisture escape, while promoting breathability. This internal mesh liner is similar to the liner used in many men's swimming trunks--and just like with swimming trucks, the Men's Launch Run Woven 7" Run Shorts was built to maximize support as well as functionality. This feature is a bigger deal than you may think. How many times during a run have your valuables fell out of your pockets--if your shorts had pockets at all? I'm willing to bet it happens quite often! Sometimes you may have been forced to place your belongings elsewhere, giving you the added stress of retrieving them when your run was over. Well, stress no more! Along with mesh pockets that are deep enough, and secure enough, to hold your phone and wallet as you run, you can now store your keys or chapstick or any number of small, but valuable, things in the internal waist key pocket and never have to worry about them falling out. These are solid, cheap running shorts. You really can't get a better deal if fitted, functional, breathable, and durable shorts are what you're in the market for. Made from 100% Polyester water-proof material, this is an excellent long-term buy. 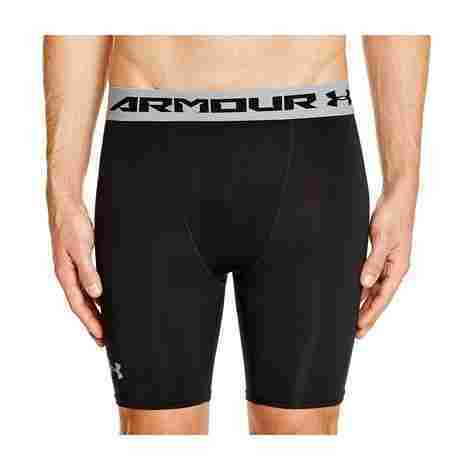 The Men's HeatGear Armour Mid Compression Shorts are an excellent choice for men who are looking for all the benefits that come from strong, durable, and flexible compression shorts. Its ergonomic design helps prevent irritation in high-abrasion areas and increases its longevity. Still not convinced? It's stretch-mesh gusset and inseam panels allow for incredible ventilation, which, with its ability to wick sweat, promotes quick drying. It's tough, it's lightweight, and because of its 4-way stretch construction, its suitable for almost any physical activity. With other shorts, you'll find that after running long distances, you start to experience extreme irritation or even chafing. Not so with the Men's HeatGear Armour Mid Compression Shorts. They are specifically designed to prevent irritation in those spots where irritation usually occurs. In short, it's comfortable yet highly functional, and it allows you to do what you want to. If it's proper support you're looking for, look no further. These shorts offer a comfortable support that is neither too restricting, nor too lax. It's just right--right enough to give you much-needed ventilation, which assists with keeping you cool and dry. To be quick and to the point: they're a great buy. If it's quality compression shorts that you're looking for, then you've found them. With excellent breathability and functionality for the price, you really can't get better. It'll keep you dry and cool and feeling good, while being easy on your wallet. The Women's Play Up Shorts 2.0 is the perfect choice for women who are looking for more loose fits for their workout gear. Made from 100% Polyester, it is soft, light, and breathable. Even its elastic waistband is soft, making it a prime choice for those who require comfort most of all. In addition, it includes side pockets--a rarity for these kind of shorts! Constructed carefully with anti-odor technology, this will not only wick your sweat, but it will keep you smelling fresh as well. Also, if interior liners are not your thing--which is normally a feature in running shorts--get these now. These shorts don't have one! A common problem among gym goers is feeling secure that their valuables will not get lost or stolen. The locker room is a secure enough place, but locks can be broken. If you want extra security, just so you know your keys and your money are safe while you work out, you can simply put them in your pocket, and get to work. No worries, no stress--just sweat! This is perhaps a very underrated feature. Some running shorts are necessarily made of rough material. This, however, is light as a feather and soft as one too! To top it all off, while you bask in its comfort, and continue to work out vigorously, all the sweat pouring from your pours is seamlessly wicked away by the same soft material, leaving you dry and cool and comfortable. A good, durable, comfy, soft, and functional pair of running shorts, they are definitely worth more than they cost. This depends, of course, on what you're looking for. As was already said, these are loose and lightweight--if that's what you're looking for, you've found it right here. Its durability makes it well worth the investment. If you're a guy who likes to run in darker environments, like when the sun's going down, you might want to take a gander at Men's Launch Run Stretch Woven 9" Shorts. These feature reflective logos and side piping so others can see you coming in the darkness. This is a huge help if you're running where there aren't so many people. Additionally, it features mesh side panels for maximum ventilation and internal mesh liner to promote moisture escape and breathability. It's a fitted short, so it's comfortable without being too tight or too loose. Being as light and comfortable as it is, its range of uses is endless. It's great for the gym, hiking, running, playing sports--anything, really. It's even comfortable and aesthetic enough to be worn as an every day option. It construction allows for flexibility and promotes breathability, so you can do more, while smelling less. Here's another pair of running shorts on this list that offers this useful feature. Very few do, but if it's something important to you--and you want something fitted, not compressed nor loose--take a serious look at these running shorts. Go to the gym, or go out for a jog, but never again forget or risk losing your keys. For something as long-lasting, durable, and functional as these particular shorts, the price is right on the mark. It's not high, not low--it's moderately, and fairly, priced. The shorts themselves are sure to last you a long time and come in handy in many different ways, given the fact that its functionality and the way it looks makes it a great option for many different events. The verdict? It's worth it. Here's another great loose-fitting option for women. The Women's Fly-By Printed Run Shorts offer a wide covered elastic waistband specifically designed to give you the perfect fit for comfort. Its shaped hem was created so that it offers comprehensive coverage without looking bulky or baggy. Another excellent feature of these shorts is that they have mesh side panels that serve to keep you cool by dumping any excess heat. And it not only has side pockets, but a hidden back pocket too! That's an excellent and secure way to store your wallet without worrying whether or not it'll fall out as you run. Women's shorts generally don't feature pockets. These not only feature the regular two side pockets, but an additional hidden back pocket as well. And all of these pockets are actually full-size and very useful; even if you don't use them on a run, if you're going for a long walk or a hike, they really come in handy. If you're looking for something to use in exceptionally hot climates, or even for something to just beat the summer heat with, then these were made for you. With mesh side panels that actually serve to dump heat, you'll feel cooler and better than with any other option out there. The fit is nice and loose and breathable, and with the mesh side panels, you can beat the heat anywhere. For the most part, these are an excellent, cost-effective choice if only to weather the hot days. They're durable and long-lasting, so if you spend your money, you can feel secure in doing so. If a loose, cool, functional pair of running shorts is what you need, give these a look. Another excellent choice for women who want a pair of loose-fitting running shorts. They feature a soft, elastic waistband with an external drawcord so that you can adjust the tightness to your preferred comfort level. Made up of 100% polyester, it's incredibly soft, dries very quickly, and wicks sweat as you go. It also prevents the growth of icky odor-causing bacteria. These do feature pockets, which is great, but you can only really keep small things in them; if you put your phone in them, of example, the fabric of the pocket bulges out from below your hem. But hey, if you can live with that, these shorts are highly functional, comfortable, and great for every day use. This is perhaps the most annoying thing about buying any item of clothing. You never really know what you're getting until you get them--and then more often than not, you find that the size you ordered wasn't the correct one! With these, you can order the size you actually are and that's what you'll get: something that fits you properly. Probably the softest item on this list. In addition to its comfy softness, it's also extremely functional and useful in that the soft material actually wicks sweat and prevents you from smelling bad. So you can run or hike or work out as hard as you want and still remain dry, fresh, and comfortable. Fairly cheap, this is a good buy for someone who just wants something they can use on a daily basis. Nothing too special, but not too shabby either, this is an economical buy for a non-athlete. You can even wear them around the house, and you'll probably choose to--that's how comfortable they are. Some of you might be wondering why running shorts? And that’s a great question. Why running shorts over gym shorts? Is there a difference. Well no—at least not if you’re running a couple miles. If you run a couple miles, say three or four miles, you might sweat a little, and nothing else bad will happen. But if you want to push yourself, if you want to test your endurance, your stamina, your strength, the difference becomes evident. You’ll see then how important your gym gear becomes. Try it: run with gym shorts. After several miles, sweat will be pouring from your pores and your gym shorts will start to bunch up, ride up, get damp, and become a messy burden to you, slowing you down, and convincing you that going the distance isn’t worth it. If you decide to fight that feeling, you’ll experience chafing, and your shorts pulling down on your legs, making you feel heavier and slower. Running shorts were designed specifically to deal with these issues. As you can see from this list alone, running shorts in general have a very wide range of uses. 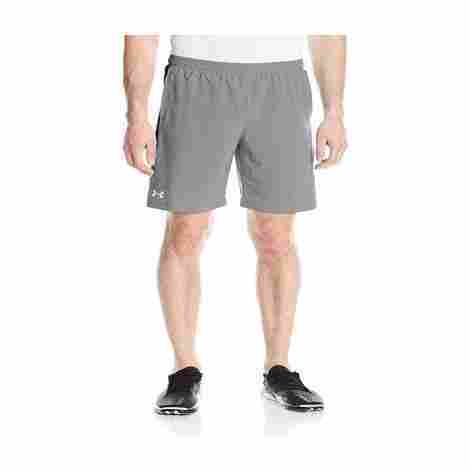 And you can also see that Under Armour provides not only quality running shorts, but a wide selection of them, ranging from compression fits to loose fits; for men, and for women. But you may be wondering what the difference is. Well, here are a few things to consider when you’re looking for quality running shorts. This is perhaps the most important thing to consider before choosing a pair of running shorts. 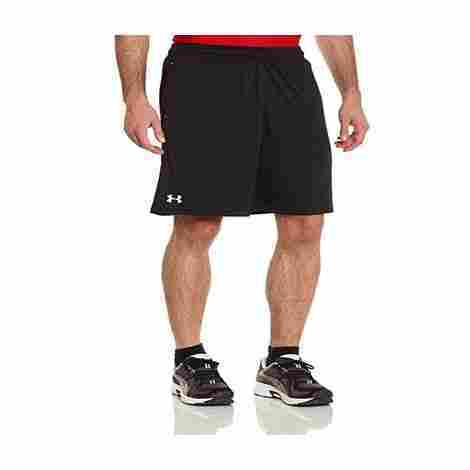 Running shorts are designed to be shorter than average shorts, and certainly shorter than gym shorts. This is because, as mentioned, the longer you run the more longer shorts tend to ride up and cause serious problems, from simple distraction to irritation to chafing. A good pair of running shorts are comfortable and allow for increased mobility—so be sure to check for these qualities in your search for one! If you run, you sweat. You don’t need to be a genius to figure that one out. But a lot of people think that the more you sweat, the more calories you burn—and thus, the leaner you will become. This is a misconception. You may lose weight, if that’s your goal, by sweating profusely, but what you’ll be losing most is water weight. Sweat works by wetting the skin, and then eventually evaporating, thus cooling the skin in the process. If you leave that sweat on, or allow it to build up, your body doesn’t work as hard because it doesn’t need work to stay warm—it already is warm! If, however, the sweat evaporates or is it wicked away, the skin becomes cool, and the body ends up burning more calories in order to get warm again. Counterintuitive, isn’t it? But it’s true! That’s why we made sure that every item on this list has been designed to wick sweat and keep you and the shorts themselves cool and dry. It’s important you give your skin room to breathe, and stay cool, if only to be able to endure a more intense workout. There are three types of fitting styles you should know in order to make an informed decision. This is important not just so you’re comfortable, but so you’re able to function at the capacity that you desire. The first thing you need to do is be self-reflective and ask yourself, what exactly do you want to accomplish? Once you know the answer, it’s just a matter of choosing the right fit to suit your needs. The first type of fitting style is known as a “Compression” fit. This sort of apparel is designed specifically sit tight on the skin—or act as a second skin, as it were. This is so that it gives whatever muscle groups you’re trying to work additional support by keeping it in place. It also increases blood flow to the muscles and helps you cool down as you burn calories. With the proper support and blood flow, your athletic performance is increased. The second type of fitting style is known as “Fitted” fit. This means that it’s not tight—or not compressed—but not loose either. It’s right in the middle. It hangs off your skin slightly, so it doesn’t act as a second skin, but it doesn’t get in the way either. Though it’s not as tight as compression fits, it does still work to wick sweat and cool you down. And finally, there’s the “Loose” fit. It’s exactly what it sounds like—loose. This is excellent for the less intense athlete or gym-goer. Loose fits are intended to be more comfortable and breathable than anything else—some people even wear them as daily use items. But some loose running shorts offer the same benefits as compression fits and fitted fits, like the ability to wick sweat and cool you down. As with anything, you have to do your due diligence in choosing the proper pair of running shorts. This list will help you do just that. Q: What is Under Armour? A: Under Armour is a company founded in 1996 that specializes in performance apparel that is designed to keep the wearer cool and dry and comfortable as he/she works out or plays sports. 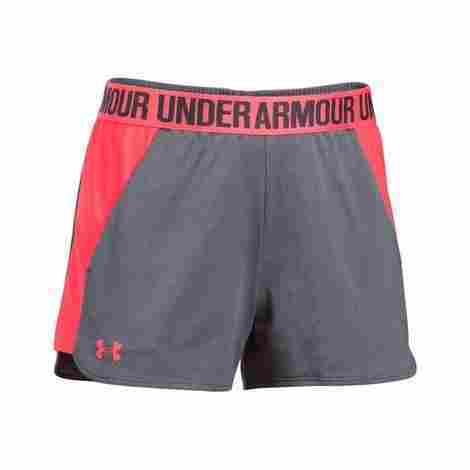 Their trusted name brand and the quality of their products, as well as the variety of their products, is why we’ve compiled a list of the best Under Armour running shorts. Q: Why do running shorts come with a liner? A: They don’t always. They usually, do, yes, but not everyone likes them. They are there to provide you the same support that normal underwear usually provides you, but with more breathing room. It allows air to travel freely and wicks sweat away, leaving you cool and dry and chafe-less. That’s why it’s important for you to do your research before making a purchase. A: It entirely depends on what kind of running shorts you buy. If they have a liner, then no–wearing underwear with one of these is sure to cause sweat to build up and make the entire environment down there hot and sticky; this in turn will cause chafing. Pay attention though! Some running shorts are meant to be worn AS underwear. That means you wear these underneath regular shorts for support.